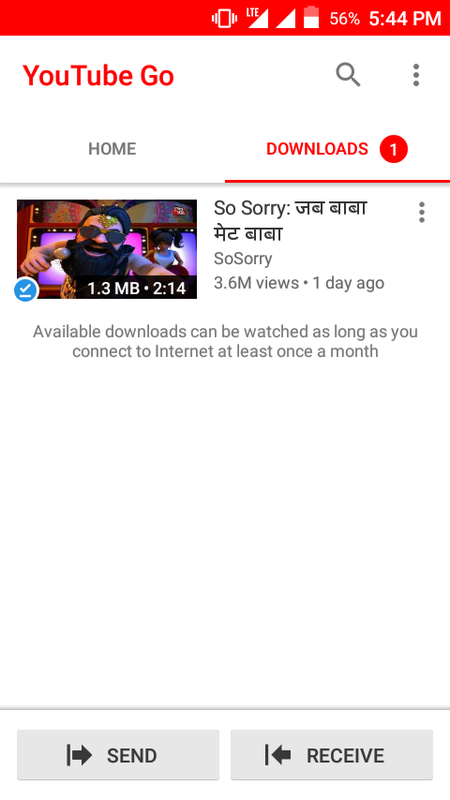 No Doubt, YouTube Offline Feature Helps You To Download YouTube Video On Your Android SD Card, Internal Storage Without Using Any Third Party App But There Is A Catch Which May Consume Your Data Double For A Video. There Is A Limited Time Duration For An Offline Video Also, Which Is Of 48 Hours Because Of Offline Video Sync With YouTube App. If You Have An Active Internet Connection Then It Will Be Remain There. But Sometimes When You Have No Internet Connection, Then Your Video Will Be Expired And Once Video Expires And When Your Data Connection Active – Download Will Be Start Automatically. This Is Too Annoying If You’ve Limited Data. That’s Why YouTube App Offline Feature Is Not So Great, In Some Cases, People Notice Their Data Has Been Consumed Much More Than Actual Use. They Don’t Know The Video That They Offline In YouTube App Start Download Again In Background. First One Is You Can Offline A Video On YouTube Go App And There Is No Such A 48 Hours Time Limit But You Must Have An Active Internet Connection Once In A Month. Another One Is When You Long Press On A Thumbnail Of A YouTube Video You’ll See Preview Of The Video. The Third One Is You Can Share Your Offline Video With Another Android Device. This Is Too Useful And Cool. YouTube Go Is A Part Of Google’s Android GO Operating System For Low-Performance Android Devices Which Will Launch In 2018. So, If Your Internet Is Consuming Much More Than Actual You Use Then Must Check YouTube Data Usage, Read This Guide To Monitor Data Usage In Android. You Can Also Use Google’s Triangle App To Block Background Usage Of Apps.